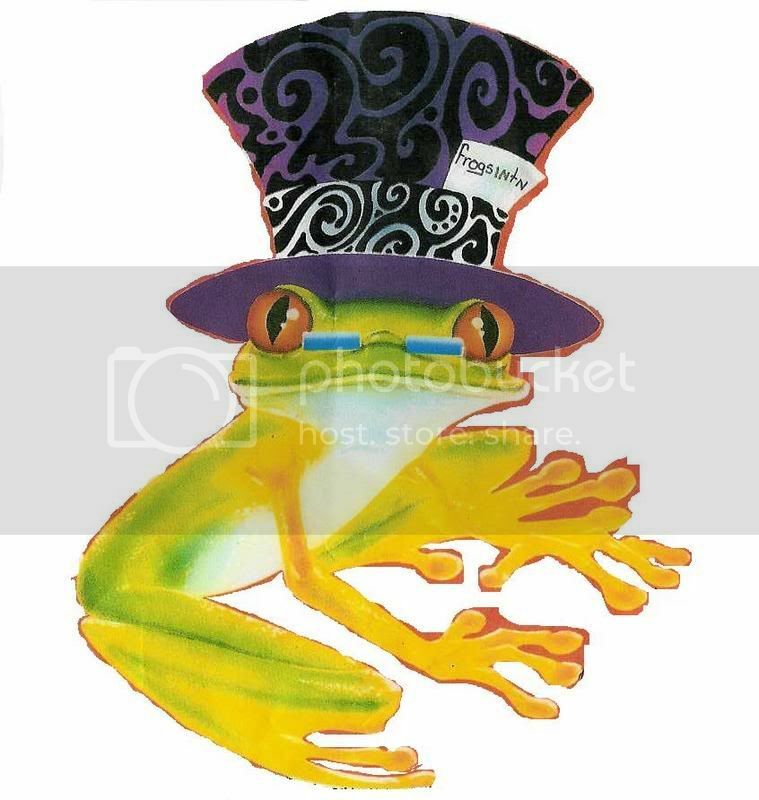 So to challenge this idea that a species, subspecies, variety, or form MUST look like the picture in your head I have created these handy posters which I hope will be available to buy in the near future. As I create more I will post previews of them here. And yes I meant the names as I said them above. I am of the opinion that there are no varieties of S. purpurea only subspecies and that includes S. rosea. Actually Dave, N. Robcantleyi is a prime example and until a legitimate scientific paper is published saying otherwise any "evidence" of it being a hybrid is pointless as is arguing about it. 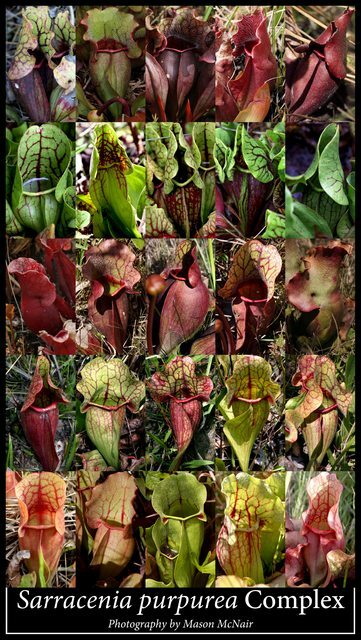 The reason it is a prime example is because people latch onto that particular photo and the king of spades and queen of hearts plants and assume that all seedgrown plants of N. Robcantleyi will look the same. There is tons of natural variation within a species and nitpicking like everyone has over Robcantleyi is a waste of time. Armchair taxonomy is pointless. Actually, the paper does not make a species or not, the natural state of their breeding does that. Only your S. flava is a solid example of variation *within* a species. Not *supposed* species that probably include variation from more than one species. The paper suggests this is how things are and presents evidence for us to consider along with a name. Acknowledging the paper is required! However, blindly believing what it says and agreeing with it is not science! N. hookeriana always was/is a hybrid. Publishing a paper about it calling it a species, didn't actually change the nature of the plant! Please do this project with species we know are homogeneous; not those we are vaguely familiar with and cannot call homogeneous; especially when those reasons have been published and widely distributed. 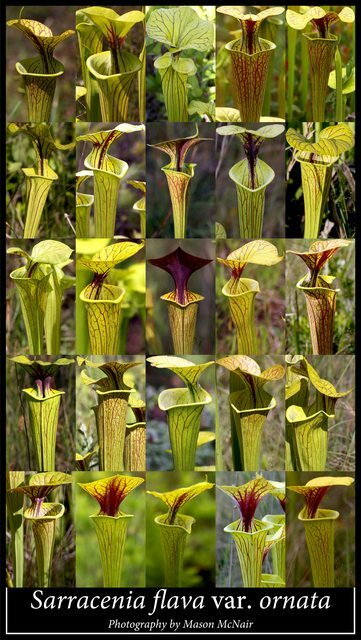 Regarding the Sarracenia flava red tubes and veined... While color is significant to horticulturalist eyes, it really should not be used to divide/decide taxonomic varieties. 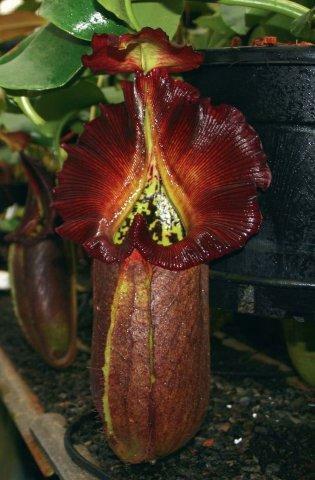 Imagine if some said that red Fly Traps were a different variety than the green... or red Nepenthes ampullaria was a different variety than the spotted or green. We're just not understanding the logic. But, for a grower who wants all the different colors it is useful. The field of mixed ornata/rubricorpora/rugelii all intercross with each other, don't they? There are locational differences between the Carolina stands and Florida because they've been separated for a very long time. When you compare them, they definitely have a different look to them, but they are the same species. Don't understand separating them by color. Very good point Sunbelle, and I completely agree. I'm not arguing to distinguish things by variety especially with color being the only thing different between the varieties. I am merely showing the natural variation within species through photography. 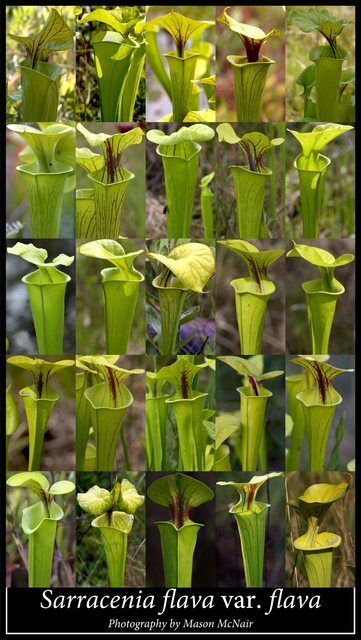 Nothing can compete with actually going to see these plants in the wild in person and taking note of the subtle differences throughout the range they occur in which I have done. And yes they do all interbreed with each other so there is no such thing in my opinion as a "pure" species or even a "pure" variety in the wild, with a few exceptions such as some of the S. jonesii populations that have been isolated from other species for decades if not longer. Also, keep in mind, when discussing this that the taxonomy is not entirely Schnell's work. Stewart McPherson, lovely person and prolific worker he is, also worked on the monograph. As far as the idealized varieties go thats the ENTIRE point of these posters. 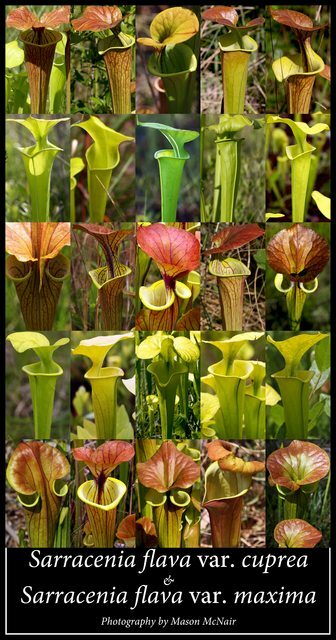 To show the natural variation within species and even within these varieties. Dave makes several good points. Perhaps better Nepenthes species showing variation would be N. ampullaria and N. rafflesiana (excluding hemsleyana and its hybrid with raff). 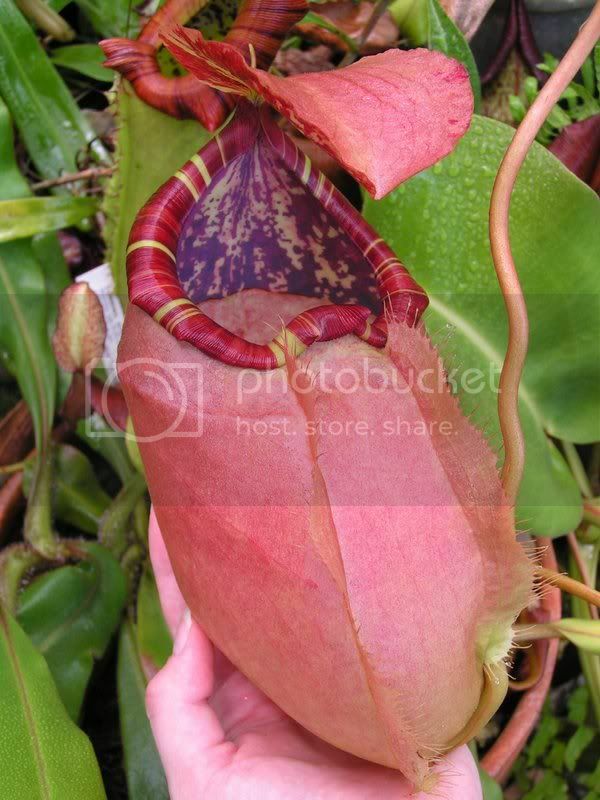 Dave, interesting how these two lowland Nepenthes do show genetic markers of each other, along with mirabilis and gracilis. Reminds one of your comments regarding N. purpurea varieties/species. No doubt some degree of introgression. Yeah, that is why I really like the flava example you have set up.